Welcome to the BCC Web site! 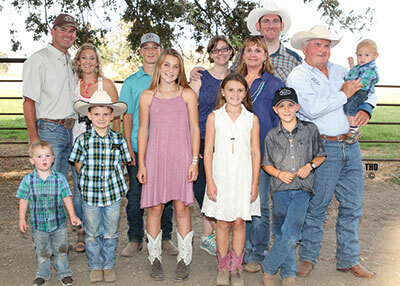 We are a family owned and operated seedstock operation that has been in the registered Angus business in northern California for almost 30 years. We have built a reputation for producing cost-efficient cattle that require minimum maintenance while excelling in a forage-based environment. At BCC we have only one goal  to produce cattle that will make our customers more profitable. That’s why our program is built around you. We strive to breed high quality cattle backed by elite genetics and dependable data, yet, unlike a majority of purebred breeders, we realize all the data in the world won’t tell you about attitude, udder quality, mothering ability, and the ability of a cow to wean a calf and breed back in a harsh environment  every year. At BCC we sell cattle bred with cow sense  but more importantly with common sense! We truly believe its not the ranchs job to produce what the cow needs to perform on; its the cows job to perform on what the ranch produces. Therefore, we run our cows the same as a commercial producer would, with the exception of breeding them AI. Our cattle must work in a "real world" setting, as our main clientele is the commercial cattleman. We have a customer base that operates under adverse conditions such as the extreme heat of the desert Southwest or the unforgiving mud and rain of the Northwest. To increase genetic predictability in our cattle, our calf crop is 100% AI sired and more than 50% of the calves are a result of embryo transfer. We use only highly proven, low birth bulls and mate them to the most elite cows of the Angus and Charolais breeds. At Byrd Cattle Company, we demand that our cattle be eye appealing, beautifully uddered, descend from proven cow families and have optimum EPDs for all traits. If you want low birth, high growth cattle with marbling and muscle, Byrd Cattle Company is your source!